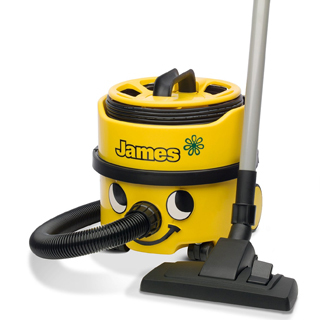 The Henry vacuum was, and is to this day, built by a company called Numatic in Somerset. 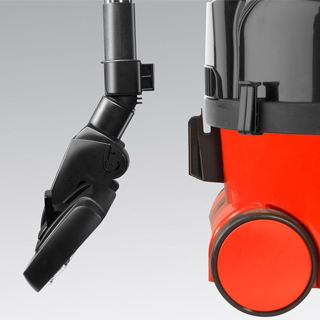 In 1981 they created the iconic and loveable red vacuum cleaner that is Henry, and it has been one of the most popular vacuum cleaners ever since, with sales increasing year upon year all over the world. But what is it about this iconic little red faced devil that makes it so popular? Well, read on to find out.. 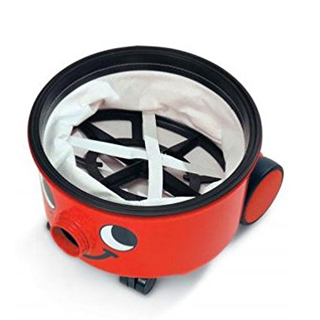 The small and cylindrical shape of the Henry vacuum means that is very easy to wheel around and even more easy to store in your cupboard or dead space under the stairs. 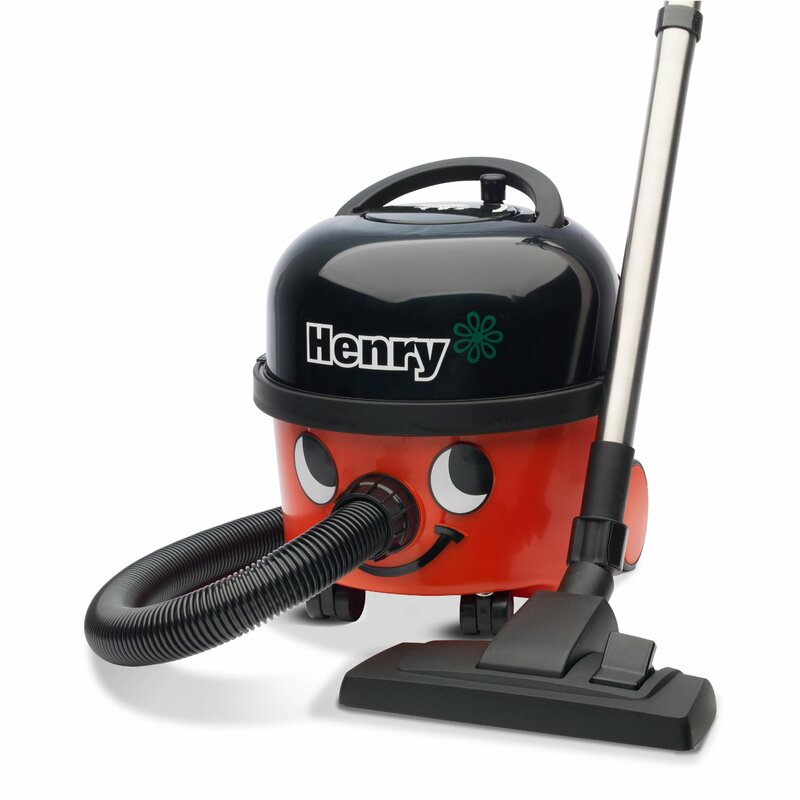 Larger, up-right vacuum cleaners often prove very cumbersome when it comes to storing them away but not the Henry! One of my favourite things about this vacuum cleaner is the long 10 metre cable, as well as the rewind system, which allows you to vacuum a large surface area in one go, without having to repeatedly unplug and relocate to a new socket. This is an extremely practical feature that cuts down the time it takes to quickly and efficiently clean the rooms in your house, or the floor of an office. Plus, once you’re done you can easily retract the cable by using the handle on the top of the machine. Behind the smiling face are two very impressive large TwinFlo motors, which allow the Henry to perform better and for longer than almost all other traditional vacuum cleaners. 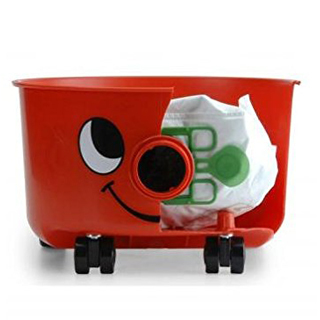 This equates to excellent suction power that will easily lift all normal types of dust and dirt that accumulate on floors and other surfaces, as well as things like cat/dog hair. One of the big surprises when I first switched on this machine was just how quiet the motor is. I have owned many vacuum cleaners in the past that were quite deafening but I was actually able to maintain a conversation with my partner while I whizzed around the house. 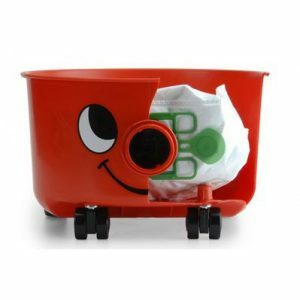 The Henry vacuum uses bags to collect the dust and dirt but it is also possible to use the machine without them, although this will result in a slight loss of suction power. This is truly a great feature if you suddenly realise you have run out (or don’t want to pay for new ones!). 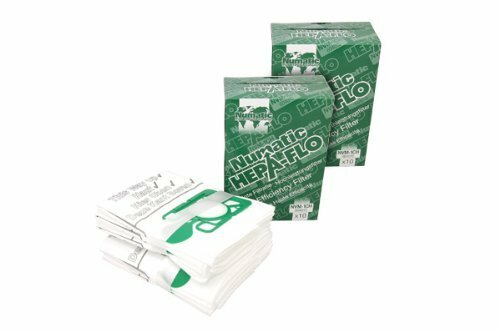 The Heapaflo bags that are contained inside the cavity of this machine are extremely tough. I actually tested their strength by trying to rip one with my hands and was unable to make even the smallest tear. Things like this are a testament to how well built the Henry vacuum range are and make you realise why these machines have a great reputation for longevity. Autosave was a brand new feature that was added to the 2018 Henry model. It works by reducing the electrical consumption of the Henry vacuum from the normal 1200W down to 600W and was intended to help users save energy. However, do not be concerned that this may affect the operating level of this vacuum cleaner, because an operating level of 600W is completely adequate for over 90% of cleaning. Plus,if you do require that extra bit of cleaning power, just flick the “HI” switch to double the power consumption up to 1200W. So, depending upon how many Henry’s you are running, whether for a business or at home, you could be saving £100′s/year with this fantastic new feature. What do you get with the Henry? that connects the base of the machine to the floor tool is strong, thick and crush proof. It is quite common for the hose of any vacuum cleaner to become stuck under certain household objects and stretched as we navigate our homes, so the fact that Henry’s hose is so strong means that you will never damage it. Attached to the hose are two metal extension wands that connect together and in-turn lead on to the combination floor tool (2) that is in contact with the floor. With a plastic case and metal plate underneath, this tool glides over all kinds of different surfaces with ease and even contains two litter pickers (3), which really get to work on stubborn dust and dirt. There are also two pedals on the main floor tool that will raise and lower the castellated brush, allowing you to vacuum both regular carpets, as well as hard wooden floors. One of the best things about the Henry is the armada of tools that you can attach to the metal extension wands, or even just the hose, to tackle dirt in the small crevices and tight gaps in our homes. Firstly, there is a soft dusting brush (4) that is ideal for vacuuming curtains because it is made up of a huge amount of very soft bristles. These bristles allow you to vacuum delicate objects that would otherwise run the risk of getting damaged by the brute force of the other attachments. Secondly, there is long, thin crevice tool (5) that is perfect for whizzing along skirting boards, vacuuming up all of the dust that is out of reach of the regular floor tool. Lastly, the general purpose nozzle (6) is a miniature version of the regular floor nozzle and is great for when you need to vacuum your car, as well as stairs and furniture. Due to new European laws concerning the power consumption of consumer appliances, Numatic saw fit to alter the power of the latest Henry vacuum models. 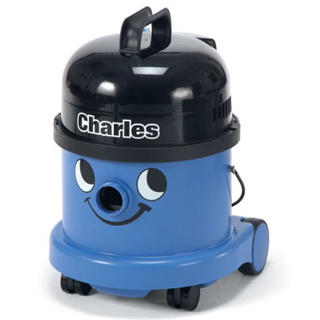 Today, all Henry vacuum cleaners come with a standard 620W motor, instead of the more powerful version that was in the older machines. Many people are concerned that this means that the Henry no longer packs the punch that it once did but, in truth, this is totally incorrect. Not only is the 620W motor just as powerful as the old variant, it is actually far more efficient at picking up the most stubborn dirt in your home. 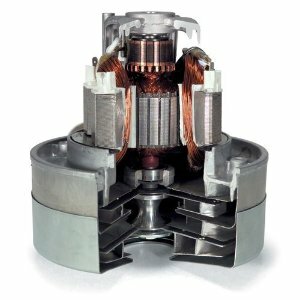 As an added bonus, you’ll also be making a huge saving because your electricity consumption will be half of what it would have been with the old motor. In conclusion, there are many reasons why this little vacuum cleaner continues to be the best-selling machine in the United Kingdom but mostly it is down to the fact that Numatic have kept it simple with the Henry, with strong, durable parts that are built for heavy use. 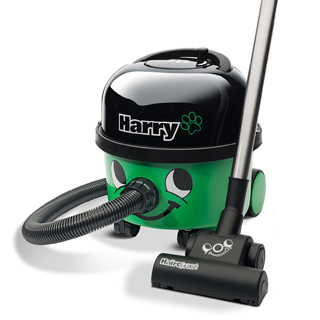 When you purchase a Henry, whether you are looking for something to use on your floors at home or for commercial cleaning purposes, you can rest assured that it will provide you with years of efficient and effective vacuuming, for an extremely affordable price. Does exactly what it says on the tin. 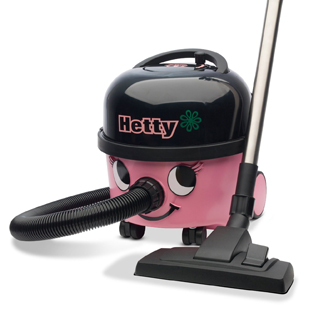 British engineering at its best here with the Henry – a vacuum that is built to last. Henry Vacuum Bags - Do you need to use them? 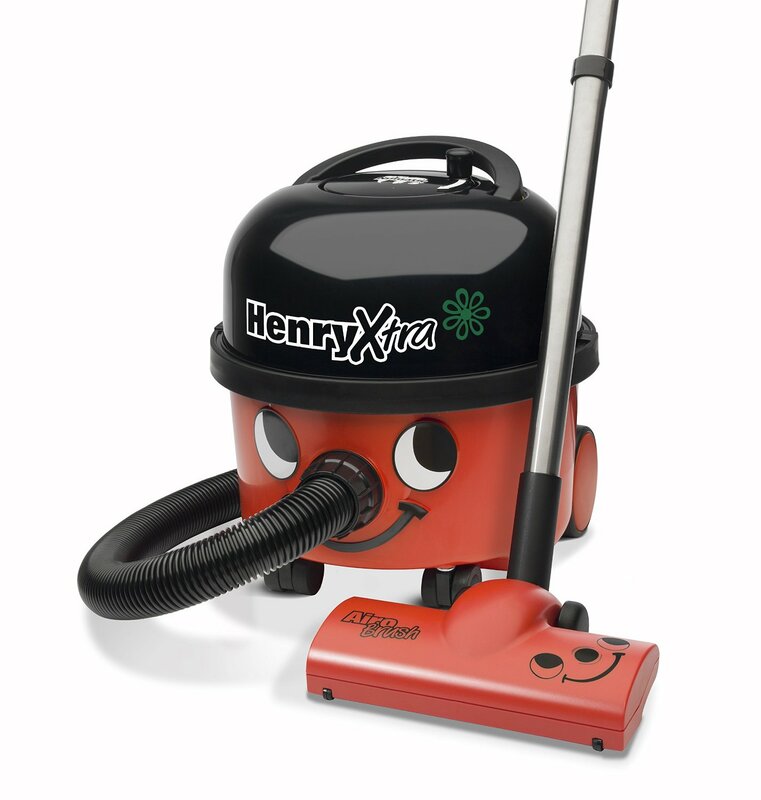 Henry Vacuum Resource is a participant in the Amazon EU Associates Programme, an affiliate advertising programme designed to provide a means for sites to earn advertising fees by advertising and linking to Amazon.co.uk.